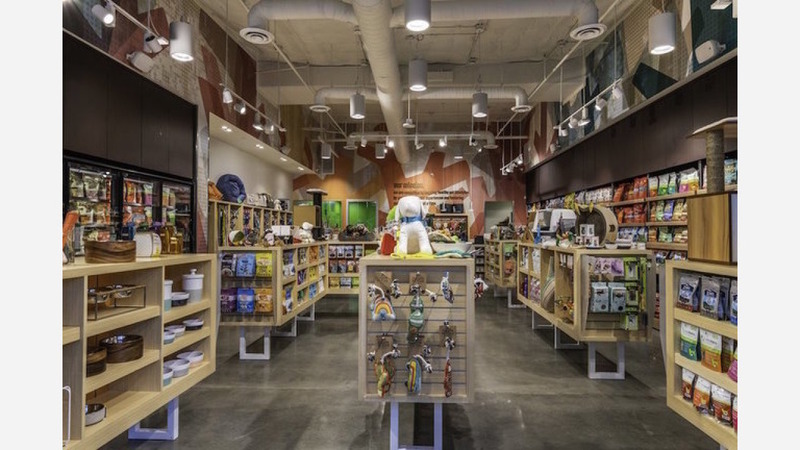 A new pet lifestyle store called Healthy Spot has debuted in Playa Vista. The expanding local chain -- founded by Mark Boonnark and Andrew Kim in 2008 --is located at 12746 Jefferson Blvd., Suite 2130. The store provides a full range of organic pet food lines, eco-friendly toys, treats, training tools and more, as well as grooming products and services. With a four-star rating out of five reviews on Yelp so far, the new pet grooming and supply store has received a good response. Tina C., who was among the first Yelpers to review the new spot on April 28, said, "If you're looking for knowledgeable and incredibly friendly staff and a wide assortment of healthy dog and cat food, treats, toys, bedding, health and grooming products and accessories along with a full-service grooming salon, Healthy Spot's the place for you and your fur baby!" "Wonderful grooming experience at this location (and the MDR store too),"shared Yelper G G. "Our rescued Lhasa apso has been treated so well and looks amazing after his grooming appointments (bath and/or haircut)."